Philippine Airlines is showing some extremely cheap airfares from Vancouver to the Philippines, Thailand, Indonesia and Singapore. I believe this is a new record for the cheapest non-stop flights between Vancouver and the Philippines. Certain dates in May and August, September, October 2016. 2. Click on the departure date box to bring up the calendar view, and explore other dates with Google Flights. Look for other dates in May, August, September, and October 2015. 3. When you've found some cheap dates, select your flights, and click through from Google Flights to Flight Network for booking. vancouver, yvr, flight deals, asia, bangkok, thailand, bkk, southeast asia, philippine airlines, indonesia, singapore, sin, jakarta, cgk, manila, philippines and mnl. 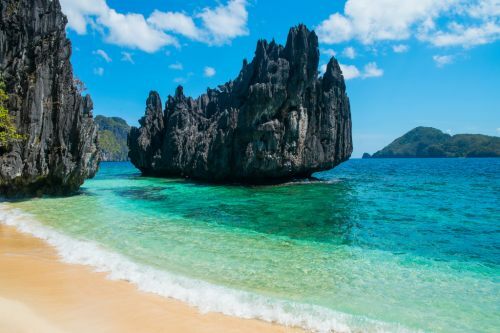 4 Responses to "Vancouver to the Philippines, Thailand, Indonesia, or Singapore - $628 to $699 CAD roundtrip including taxes"
I'm in Jakarta and was looking to reverse the direction and fly to Vancouver during that time, but I see prices are astronomical. Vancouver to Jakarta - $700. Jakarta to Vancouver for the same dates? Around $2,000. Why is it that there are so many discounts to fly from Vancouver but not to Vancouver? It really just depends on the supply vs the demand. There are also times where flights from certain destinations TO Vancouver are unusually cheap, but FROM Vancouver to those same destinations are nothing special. For example, this year there's been some amazing prices from Spain and some Baltic countries to Vancouver ($300s and $400s CAD roundtrip including taxes) but going in the opposite direction, the prices were still in the $900s/$1000s. Yep, it looks like May is sold out. Still seeing working dates from August to October.